Europe’s latest apple crop, which was recently forecast to be the largest in a decade at around 12.6m tonnes, will probably not be as large as expected, according to one of the world’s leading suppliers. 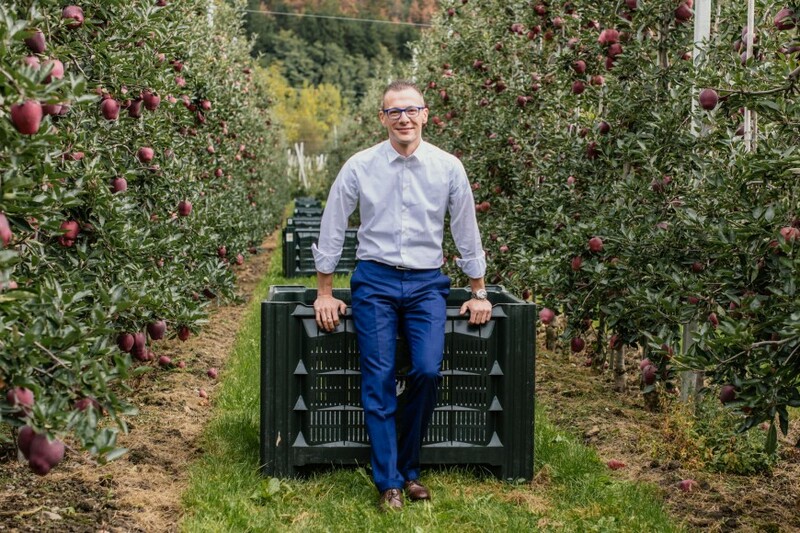 In an update issued by leading supplier VI.P Val Venosta, the company’s commercial director Fabio Zanesco said the general consensus among Europe’s apple-producing community was that such a large crop forecast – which includes a predicted doubling of Polish production to just under 4.5m tonnes – was misleading and potentially inaccurate, especially when considering the likely volume of premium varieties available. “In the past few days we have visited all of our main Italian and foreign clients to agree the start of our supply programmes. In general, we are seeing indications from all over Europe that production yields are in fact down, so we think the figures provided by Prognosfruit will be decidedly lower, especially when it comes to high-quality product,” Zanesco observed. Consumers in Italy and Spain are likely to see a more consistent flow of South Tyrolean Golden and Red Delicious apples into their markets over the coming months with the news that the average fruit size for those varieties is above average this season. Zanesco confirmed that sizing for two of the Mediterranean’s most widely consumed apple types would be larger than normal. “This allows us to offer continuous supply to the Italian and Spanish markets,” he explained. Following two years of lower production, largely as a result of adverse weather conditions, this year VI.P’s own crop is returning to normal, Zanesco added. Sales of Gala began in early September and, with harvesting of the early variety already more or less complete, picking of other varieties such as Red Delicious, Golden Delicious, Pinova and Kanzi has now begun. The final variety to be harvested will be Envy in November. “Marketing of Red Delicious will begin in week 39, Golden Delicious and Kanzi in week 40, and in mid-October the first Ambrosia will leave our packhouses – preceded by supply from our partner Rivoira,” Zanesco explained. “The organoleptic quality and colouring are extcellent, given that the swing in temperature between day and night in the last few weeks has favoured bright colour and crunchiness among all the red and bi-coloured varieties.